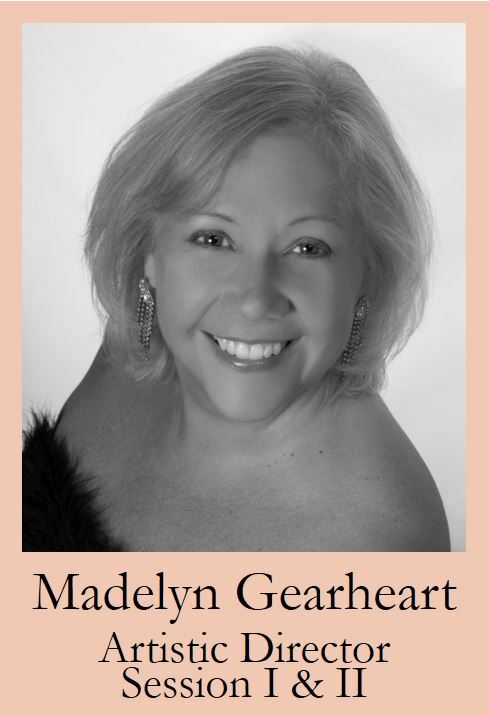 Madelyn Spring Gearheart, Artistic Director, founded Opera Viva! in 2008. A lyric coloratura soprano, she performed with the Venice Opera, Teatro La Fenice, and the Verona Opera, l’Arena di Verona during the seven years that she lived in Italy. She was a finalist in the international opera competition “R. Stracciari” in Bologna. She studied with notable teachers Mario Del Monaco, William Warfield and William Eddy. Dr. Gearheart was the founder and conductor of the New Hampshire Youth Chorus and the New Hampshire Choral Society from 1999-2012. She has been a guest conductor and vocal coach for the Summer Youth Music School at the University of New Hampshire and the Phillips Exeter Academy. From 1985-1987 she was the Assistant Conductor for the Tacoma Opera Company. She has been choral festival conductor for NH All State and regional choral festivals. She has adjudicated for NH All State, NYSSMA, All New England, Music In the Parks, NATS and MTNA. She also operates a private voice studio and appears as a soloist and clinician. Dr. Gearheart is a member of the National Opera Association and Past President of the New Hampshire Chapter of the American Choral Directors Association. In 2012, she was named the NHACDA Choral Conductor of the Year. Dr. Gearheart received a Bachelor of Music degree from the University of New Hampshire, a Master of Science in Music Education from the University of Illinois and a Doctorate in Music and Music Education from Teachers College, Columbia University.